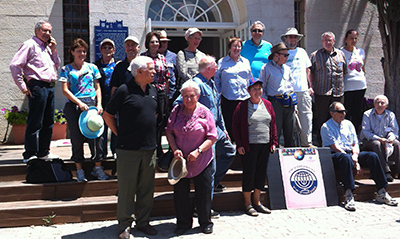 ■ REUNIONS OF former classmates are usually one-day or one night affairs, but in the case of graduates of the Jewish Agency’s Institute for Youth Leaders from Abroad, generally known as the machon, it was a week long tour of Israel by alumni of the 25th program, who studied in Israel in 1959-60. Back then, there were 97 young participants, aged 17-21. They came from North America, Western Europe and even North Africa, Morocco, Tunisia and Algeria, where Zionist movements were still allowed to function. They included members of Habonim, Dror, Hashomer Hatzair, Bnei Akiva, Young Judea, Student Zionist Organization, B’nai B’rith Youth and the younger generations of the Reform and Conservative movements. The program comprised a half year of intensive leadership training studies in Jerusalem, and half a year on a kibbutz or moshav associated with their respective movements. The Hashomer Hatzair group was privileged to have the young future historian and Holocaust scholar (Prof.) Yehuda Bauer as their teacher on Kibbutz Shoval, while the Bnei Akiva group was taught by rabbi and future MK Haim Druckman. Most of the members of the 1959-1960 program have made their mark in Israel and Jewish communities abroad. They got together again last Sunday, and on Tuesday one of them, Israel Prize laureate Prof. Emanuel Tov, an internationally renowned expert on the Dead Sea Scrolls, took them on a guided tour of the Shrine of the Book. Others in the group include Prof. Ami Sperber, a noted expert in gastroenterology, David Eisenmann, who was director of Swiss Air in Israel, former rabbi of New Orleans Vic Hoffman, who is one of a number of prominent rabbis from the group, Hillel Schenker, co-editor of the Palestine- Israel Journal, award-winning glass artist Peter Layton, and many others who are leaders in their respective Jewish communities. Two who were sadly missing were Ribby (Soifer) Ben-Yitzhak, who was killed in the 1975 refrigerator bombing in Jerusalem’s Zion Square, and David (Rosen) Tal, half of the famous singing duo Hedva and David. The Ben-Yitzhak Award, presented annually to an outstanding children’s book illustrator by the Israel Museum, was established in memory of Ben-Yitzhak. Hedva and David won the Japanese Song Festival with “Ani Holem Al Naomi” (I Dream of Naomi), the No. 1 Israeli song of 1970. The political diversity of the group is reflected by the fact that Ronnee Jaeger was one of the three founders of Machsom Watch, while Rachel Saperstein was spokeswoman for the Gush Katif settlers during the disengagement in 2005. Indirectly, the group even has a representative on the Israeli movie screens these days, since six-yearold Jo Jo Kushner, granddaughter of Shosh and Rabbi Paul Kushner (a civil rights activist, whose brother Rabbi Harold Kushner wrote When Bad Things Happen to Good People), plays the daughter of Anne Hathaway in the new Robert De Niro film The Intern. 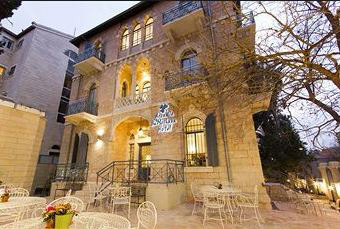 The institute, which was established in 1946 to ensure the post-Holocaust continuity of Jewish leadership, was the brainchild of Avraham Harman and a group of South African Jewish community leaders. Harman subsequently became a diplomat and Israel’s ambassador to the United States. He was also the founding president of the Israel Council on Soviet Jewry and president and chancellor of the Hebrew University of Jerusalem. Here, we are opening a new (Geriatrics) section for Machzor Lamed-Bet in honour our 70 years olds. We found five worthy candidates; may they prosper and multiply. These magnificent five came today to benefit from listening to some historical information and by the by partaking of some culinary delicacies. Some learned that their memories were not what they once were and others that neither were their teeth! Many of those present had changed their I.D. 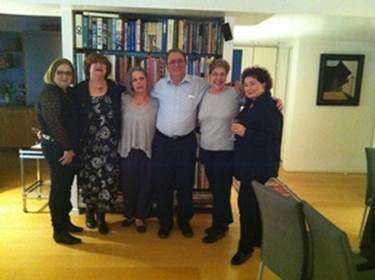 's over the years: Rosalia Wolowelski is now Shoshana Schmois; Tzvi Krichevsky - Tzvi Gera; June Jaffe - Tova Levy ; and Yerajmiel Grinfeld - Yeraj-Ricardo Grinfeld. The only one still with her former identity is Sara Altman, who is still the one and only Sara Altman. However, the change of a name has not brought with it changes of dreams. Perhaps some disillusionment, new insights, and sometimes changes of opinion. For some life has been kind for others not so kind; sometimes a bit of both. But the youthful enthusiasm that characterized all of us back in the ‘60s in Katamon, Jersualem, is still common to all of us. Today we are the “silver haired”, the “elderly” and according to the Talmud "ע" - “ayin” – or “eye”. The “eye” that sees, even with a cataract! After much hard work over the summit of our 70 years, we look to where we are now. From here we have a wider perspective to look at what we have achieved, a moment of inner reflection. Have we achieved our potential? Have we fulfilled the dreams of our youth? Whether we did or not, what’s in for us from here on? Should we just carry on nostalgically, living through what has been? Or do we have a golden opportunity to start something completely new, something invigorating that could open new horizons, something that we can look back on from the peak of our 120th birthday with the feeling that we haven’t let ourselves down? Rather that we have built something new, that we have been of help and support right up until the time our bodies wouldn’t let us do what our souls desired – much later in our lives when we really reach old age. Let’s take this opportunity to hope for good health so we can further new plans. Let’s hope that we will be surrounded by the people who love us and whom we love, our partners, the next generations, and our friends who will support us in our latest endeavours and in many new initiatives and in the strengthening of our lives as free human beings. We have had many successes. We have helped to change the reality of the Jewish world. When we arrived in Israel, we were less that 20% of the Jewish world. Now more than half the Jewish world lives in Israel. But the job is not done although there is no comparison now with the hundreds of past years of Jewish oppression. Today most Jews hold their fate in their own hands. There is a distinctly Israeli development in art, science, technology, and agriculture. We are aware of our many disturbing shortcomings. Our job is to warn the youth of today of these dangers especially those on the home front. Those from within can be greater than those from without. Dangers from abroad usually strengthen our inner courage but internal feuding does more to harm us than anything else. An external threat unites us all but threats within our ranks split, destroy and suffocate our society. Just now we have the magnificent five who have reached this stage through willpower, faith and human wisdom. Lots more of us will soon enter the “silver” era of their lives and their “eyes” will look on things with the wisdom of life’s experiences. Let us wish ourselves and all those who join us, a full and active life and the health to allow us to continue to fulfill our dreams so that we won’t stop trying, thinking, and engaging in dialogue and most important of all ... loving. Until 1972, all males on the machon (apart From Bnei Akiva at times) knew Bayit Sheni as their home away from home (until the machon moved to Kiryat Moriah). This beautiful building (where there are many memories - mostly pranks that we did at the time). From a cold building in which there were 4 boys or more to a room, it has been recently transformed into a wonderful boutique hotel. It is worth going into the hotels website bamoshava@arcadiahotels.com.il to compare the place (at least to see the photographs) with then and now. And who said that Israel wasn't the land of miracles! There was a plan to bring the Beatles here in 1965, and is well known, it was shot down by a committee led by the then Chief Education Officer of the IDF, Mordechai (Morele) Bar-On, because their appearance in Tel Aviv would be “damaging to the morals of the Israeli youth.” My uncle, Dov Bar-Nir, who was a member of the first Knesset on behalf of the Mapam Party, was also a member of the committee, and my cousin tells me that he proudly told her that being a man of the world (who grew up in Belgium), he was in the minority that supported their right to come. Bar-On later expressed his regrets at his role in preventing them from coming, and on a radio program in which he was asked what record would he bring with him to a desert island, he said “Sergeant Pepper’s Lonely Hearts Club Band”. As for the Stones, although it took them 52 years, they finally made it. What a performance! How does Mick Jagger do it?! And in the middle of a hot hamsin evening? Not a word of complaint, and constant motion on the stage, with just a brief break when Keith Richards took over with a few blues solos. All of his peers like myself can only feel encouraged by his continued energy. As for the songs – “Start Me Up” naturally started them off, followed very fittingly by “It’s Only Rock and Roll (but I like it)”. I could have done without “Get off My Cloud” and “Paint it Black” which they must have been told were very popular in Israel, and would have preferred “Let’s Spend the Night Together” , “Ruby Tuesday”, “Beast of Burden”,”Wild Horses” and “Time Waits for No One” but you can’t have everything. There were wonderful performances of “Jumping Jack Flash”, “Honky Tonk Woman”, “Brown Sugar”, “Miss You”, “Doom and Gloom” and the very lyrical “Angie”, which warmed my cold winter nights on the Golan Heights during the Yom Kippur War. I wondered if they would dare to sing the challenging “Sympathy for the Devil” in the Holy Land, which is sometimes overwhelmed with too many religious tensions and symbolism, and when the familiar opening percussion notes began, and Mick began “Please allow me to introduce myself/I’m a man of wealth and taste/I’ve been around for a long, long year/Stole many a man’s soul and faith/”, with the familiar “Ooo who who” in the background, I felt chills down my spine. And what could top an encore of “You Can’t Always Get What You Want”, with an angelic local girl’s choir in the background, and of course the rocking finale of “(I Can’t Get No) Satisfaction”. What an ensemble. Besides Keith Richards, by common consensus one of the greatest guitarists and white blues masters ever, there was Mick Taylor, listed as the 37th best guitarist in Rolling Stone’s top 100 guitarist list, a tremendous bass player, great keyboard and sax players, and the incredible Lisa Fischer, one of the stars of the Oscar winning documentary “20 Feet from Stardom” doing back-up vocals. Maybe the Stones are not as political as John Lennon, George Harrison or even Paul McCartney, but we always knew where they stood. After-all, “I went down to the demonstration/To get my fair share of abuse”. And perhaps unnoticed by most, Mick, who sprinkled his banter with a surprising number of Hebrew phrases, including “Chag Shavuot Sameach” (Happy Shavout Holiday), and “Atem kahal meturaf! (You are a really wild audience!”) and Anachnu Ha'avanim Hamitgalgalot! (We are the Rolling Stones! ), at one point said “Todah” (Thank you) to the audience, which he immediately followed with “Shukran” (Thank you in Arabic). Did someone say BDS? Rogers Waters of Pink Floyd called on the Stones not to come to protest the occupation. Obviously this didn’t make much of an impression on Mick and Keith, or on Neil Young who is coming later this summer. Which doesn’t mean that they, and most of the people in the audience wouldn’t like to see an end to the occupation and peace between the Israelis and the Palestinians. WERE YOU A MACHON COUPLE ? 10, 20, 30, 40, 50, 60 plus years ago and still together? At the recent Bogrei Machon Assefa held at Kiryat Moriah there were at least 2 couples who on the Machon. Danny and Angela Gavron Machzor 15 (1954) and Alexandra and Ilan Darmon Machzor 33 (1963). Interesting to know how many couples came about because of that year at the Machon Lemadrichei Chul!! 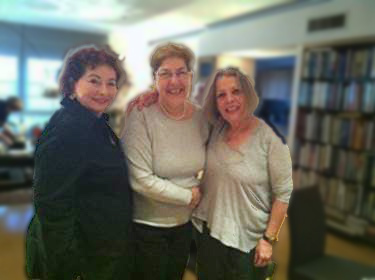 On the occasion of a visit by Barbara Tamir from Montreal (now Toronto) we had a mini-reunion at my home in Tel Aviv on the 13th February 2014. It was a great reunion and we enjoyed each other very much. Hopefully we will able to post more photos of then and now at a later date if chaverim send them. Bogrim of the nineteenth machzor (yod-tet) meet from time to time, usually when someone visits from overseas. We met the first time after 40 years (1996), at which time some 20 people turned up, and each one told of his/her activities over the 40 years. It was very interesting and we all had a good time, and decided that we should meet again in the future from time to time.. Subsequent get-togethers saw less participants. Mostly English speaking people come, including Pinchas Melchior from Denmark. Zalman Gordon is the prime mover in getting us all together and this usually happens when Gita Rotenberg comes to see her family here. Given that this meeting was one of many we have had since 1996, the question was raised whether we would want to make this a permanent fixture. The general opinion was that we enjoy meeting from time to time even if there is no particular theme to discuss. At the 50th anniversary reunion of Machzor Lamed Bet held on the 24th and 25th of October, 2013 Eliezer Dalman, one of the teachers of the Machon spoke. Here is a translation. I want to start by remembering my associates - all the teachers at the Machon LeMadrichim, on whose behalf I am talking to you now. I really am moved because we all loved you, we weren't just teachers, and I do believe that you all realize that. It wasn't any formal relationship but a real kinship and so, I wish to begin by remembering some of those teachers - David Brodsky z"l, and Yona David z"l, Haim Avni and Benyamin amongst others - I just wanted to add that before going any further. At the start of this evening you said that when you were told that you would be attending the Institute for Youth Leaders from Abroad you were told that you would, by doing so, achieve one of the goals of Zionism. By going on the Machon you did just that, and today you continue to do so. This evening was an evening of the "real Israel", the Israel that we all wanted, that we all dreamed of and that many of us here by living in Israel, are physically part of it. Here I must add, without hesitation, that I continue to be a Zionist. I realize that there is a lot to criticise on what is happening in Israel today. But I want you to know. We are a generation that built this country. This country is a result of the Zionist Movement. And all of you are part of that development when you came on the Machon. As I have said before and I say it again the Machon is the jewel in the crown that is the Zionist Movement. An organization that not only has produced the leadership of the Zionist movement in the diaspora but also a tremendous percentage of whom have actually made aliya, and of those who didn't, the majority are still active Zionists in their countries of origin. let us not lose proportions. There is no other country on earth that even claims to have gathered its people in the way that the Zionist movement has done. We have built a country, straight after the holocaust and we still have this on going endeavor, at least my generation has, to make the transition from holocaust to recovery. There are very few countries that have succeeded in doing what we have done here, despite wars and other struggles, we have established a Jewish State and the Machon played a great part in realizing this objective. So I thank you for this evening and the fact that you are part of that achievement. Dr Arieh Azoulay, honorary member of the Bogrei Machon committee celebrated his eightieth birthday together with chavrei Machzor 10 and a few hundred other ‘selected’ guests. There were cabinet ministers and former cabinet minister, chavrei Knesset and former chavrei Knesset, mayors and former mayors and … former machonnikim (i.e. bogrei machon). The Vaad of Bogrei Machon was there too to celebrate Arieh Azoulay reaching ‘Gvurot’ as it is called in Hebrew. The event was held in the Yad Lebanim building, a very impressive structure which Arieh initiated during his term as mayor of Ashdod. Our host greeted us at the entrance to the building, then after sipping some wine and munching some delicacies, we entered the auditorium. The evening started with … yes of course … “He did it his way” sung by Julia. We sang some of the songs that we sang when we were in youth movements, organized by, who else but Sarah’le Sharon, and then saw a Some pf Machzor 10 presentation about Arieh’s family and his achievements. Dr Arieh Azoulay was born in Fez, Morocco and spent his youth in “Habonim” as a chanich and then as a madrich and finally as its secretary . He studied at the Machon in 1952 and came on aliya in 1955 joining Kibbutz Dorot and then Bror Hayil. He was sent on shlichut to the Argentine where he had some involvement in the capture of Eichmann, and France where later he headed the Jewish Agency. From 1983-1989 he was the mayor of Ashdod. He founded and headed the staff a school in Ashdod which is one of Israel’s foremost schools . He was the chairman of the Cultural Centers of Israel; appointed Mayor of Ofakim in 2008; from 1997-2006 he was a member of the board of the Jewish Agency and served as the chairman of the Immigration and Absorption Committee. A congratulatory letter from President Shimon Peres was read, followed by words of praise by the current Mayor Dr Yehiel Lasri and Aharon Yadlin (a former minister of Education). More sing- a-long, with Sarah’le Sharon, and the “Tziporei Shir“ group, and then the cutting of a huge birthday cake with 81 candles, together with all Arieh’s children and grand children who filled the stage, also with song, laughter and dance. The evening ended late close to midnight with Hatikva. We recently received an email message from someone asking if we had the address of Itzik Mendelson, as he believed that he had an album of photographs that belonged to Itzik. I emailed Itzik and even tried phoning to no avail, the email returned undelivered (like so many of the email addresses that we have in the database) and the phone calls went to an answering machine. I phoned this person and told him that if he gave me the album I would make sure that it would get to Itzik. I went to his apartment and found a young man who was interested in old photographs of Israel. He notice that among all of the photographs there were several of what was once the Machon on Hizkiyahu Hamelech St in Katamon. With the name of I Mendelson which appeared several times in the album and the fact that he recognized some of the pictures as the building that were once the Machon LeMadrichei Chul in Katamon he Googled the Machon and found the www.bogreimachon.org.il website. On entering Find your Friends he found the name Isaac Mendelson. And so he sent an email to the website. I took the album home and that very evening scanned 50 of the many photographs in the album and posted them in the Machzor 38 album for all to see. 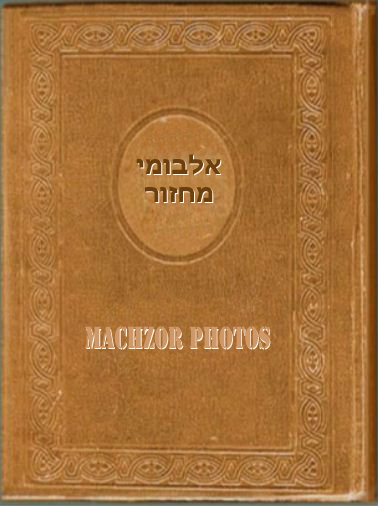 "Gallery > Machzorim Albums+videos > Machzorim 36-70 > 38". So thanks to Marik Stern who found the Album and thanks to Itzik Mendelson who provided the Machzor Gallery with 50 more photos. We have made contact with him and he has updated his email address! TOUR TO KADOURI AND LOWER GALILEE! On the 25th April, 2013 a group of Bogrei Machon arrived at the famous Kadouri agricultural school. Avi Egozi, a graduate of Machzor Kaf Hey (25) - 1959, was there to meet us. He came to the Machon as Avi Azougi but while in Israel was given Israeli citizenship and so he returned to Morocco via France as Avi Egozi. His story enthralled us. While in Israel and at the Machon, unbeknown to the rest of the participants of that Machzor, he was also being prepared for the task of organizing and accompanying the illegal emigration of Jews from Morocco to Israel. This he did when only 17 years old (although he claims that he looked much older), quite some resposibility for someone of that age. The Moroccan Alya coming in those first years of the State to the "call of the Messiah", was by no means, simply buying a ticket and "making aliya". The story of Avi Egozi can be read in "Recollections" in this website. There was a little confusion when we arrived. It was an especially hot day but there were no refreshments as had been promised. After some words of apology the bottles appeared and calm was established. The Kadouri School this year celebrates its 80th anniversary, and we heard from its headmaster, Hillel Hillman, the story of this agricultural school where such names as Yitzhak Rabin, Yigal Allon and Haim Guri were educated. We saw a film, toured the school and went out to see this picturesque region at the foot of Mt. Tabor. As recognition of Kadouri's 80th anniversary and for our reception there, we presented them with a "Jerusalem Shield" plaque on which was engraved "... with thanks from Bogrei haMachon leMadrichei Chul". We then went to Kfar Tavor, Avi's home town and had a kosher lunch at the pagoda-like Chinese restaurant in "Park haMayaan", prepared apparently in an oven especially imported from China. To tell the truth, the organizers of this tour had hoped for at least 40 participants, instead of just 30. It is a great pity that Bogrei Machon are not more enthusiastic in activities that we arrange and prepare with quite some effort, and more do not participate despite the fact that this event was highly subsidized. It is time the Bogrim took a more active part in our activities. We organized this event so that machzorim could take the opportunity to meet togetther - only Machzor Kaf-Alef (21) took this advantage of a get-together and at the same time enjoyed a great tour. Anybody having photos of the event is welcome to send them to us for publication in this site. At first glance, it seems strange to try to achieve peace between Jews and Arabs by bringing their children together to punch, kick and throw each other onto the floor. Even the man who came up with the idea agrees that it is a little unusual. "When I started Budo for Peace eight years ago, everyone told me it was a crazy idea. They were right - it is," says Danny Hakim, 53, a black-belt karate instructor from Australia whose first karate lessons at age 13 were a bar mitzva present from his grandmother. Crazy or not, however, the organization he founded and directs has brought together hundreds of Jewish and Arab children from all over the country to learn tolerance, friendship and mutual respect through martial arts. But aren't martial arts and peacemaking somewhat contradictory activities? "That's what everybody asks me." says Hakim, flashing his trademark smile. Photo by Dorit Fridman 'path' - as in judo, kendo, aikido, karatedo. These are all different paths of martial arts. There are two meanings of 'bu.' The first meaning is 'war' or 'conflict.' But ... if you look carefully at the Chinese character, it also means 'preventing conflict.' So Budo for Peace is a way of preventing confict, using martial arts." He stresses that martial arts "is not about fighting. In all traditional martial arts - Japanese, Chinese, or Korean - there's a philosophy. And the philosophy is about respect and self-control. And it's not something that is only talked about. When you go into a matial arts class, you have to bow. When you see your instructor, you have to bow. It's part of the rules." The philosophy is also, he says, about "achieving harmony within yourself. That is part and parcel of every traditional martial art. First, you sit down and meditate, trying to achieve calmness within yourself. And once you've achieved harmony within yourself, you are able to have harmony with other people." He explains, however, that he is talking specifically about Asian martial arts. "Because in boxing and other forms of what they call 'martial arts', 'there isn't that deeper philosophy." What about krav maga, the Israeli martial art that has grown almost exponentially in popularity in the past several years? "[This philosophy is] not part of the teachiing of krav maga," he notes, "but we are accepting krav maga instructors in Budo for Peace who have adopted our mission and goals - using martial arts to build trust between peoples and to create a more accepting global society." There is another thing about Asian martial arts that makes them a perfect medium for bringing Arab and Jewish kids together, according to Hakim. "It's a culture that is foreign to both groups of our kids. There's a Jewish culture, and an Arab culture. We introduce Asian martial arts as a third culture, adding another dimension that both groups consider exotic and 'cool'. Both groups of kids are following customs and rituals from that new third culture, coming together within that culture." There are, at present some 34 Budo for Peace "clubs" throughout the country each with anywhere from 10 to 20 pupils, both boys and girls. The children range in age from around nine to 16. There is roughly an equivalent number of Jewish and Arab clubs, and each Jewish club is paired with a "twin" club of Arab children. The Caesarea group for example. is paired with one in Jisr e- Zarka, Afula is paired with the lower Galilee village of Iksal, and Kiryat Gat with the Beduin village of Abu Kweidar, near Beersheba. At one such recent seminar at Abu Kweider 56-year-old Budo CEO Nahum Katz - a retired IDF colonel and former high-school principal - points out the wide array of locations the program has reached. "Tonight we have right here people from Mughar in the north, people from Iksal, Afula, Haifa, Jisr e-Zarka, Hadera, Kiryat Gat, Ra'anana, Holon, east Jerusalem, Hebron, and from this village, Abu Kweiar. That's how spread out we are, and we're proud of that," he says. "This seminar is a meeting of the instructors and the young leaders together," he continues. "We have these meetings every three months. Each of the instructors has brought along two or three young leaders, who are the highest rank in each club, and the best in leadership development. They are the future leaders of the organization." One of the most enthusiastic participants at the seminar is instructor Hanan Drawshi, a Muslim Arab woman from Iksal, a village in the lower Galilee. Drawshi, 25, has been studying karate since the age of 16. She has been with Budo for three years and teaches a club of 15 pupils - boys and girls, ranging in age, she says, from almost four to 18. Asked if she enjoys what she is doing, she is quick to reply. "Sure! You can do things that you can't do as just as a regular karate instructor. Your can teach values. And it's nice to see all these people fron different places coming together and enjoying themselves and each other. It's a good idea." Her reply is even more ardent regarding whether she thinks she and her organization are making a difference. "Sure we're making a difference!" she exclaims. "We're making peace!" She reiterates Hakim's sentiment that "people think that martial arts is about violance, but we do the opposite. We make peace through martial arts." Like Drawshi - who is a landscape architect in addition to being a karate teacher - virtually all Budo for Peace instructors have "day jobs"." They hold such disparate positions as high-school teachers, tour guides, social workers and business executives. Shlomi Quartier, for example, who teaches a system called Pine Forest Karate in Herzliya, is the Israel manager of Dell Computers. As a non-profit organization, Budo for Peace relies on contributions for 100 percent of its operating expenses. How much does it cost to get one local club up and running for a year? "It's not cheap," says Katz. "To open a new club from A to Z. costs arond $16,000 per year," he says. "It's not only the instruction that costs money, but it's also the activities in the community; the cost of buses for the different clubs to meet and train together, trips; summer peace camps; and many, many other activities." The total cost rises rapidly considerig that the organization hopes, he says, "to open 23 new clubs fhis year, all over Israel, in addition to the 34 we have right now." This year Budo for Peace has also had to deal with the expences of sending a mixed trram of Jewish and Arab instructors and pupils to this year's International Karate Chapionships in Sydney, where teams from more than 100 countries will compete. Following a send-off party at the home of the Australian ambassador on November 5, the team will depart for Sydney on November 13 and compete in the championships on November 23. Shouldering the cost of sending the team to Australia and back is one private donor who asks emphatically not to be named. He is more than forthcoming, however, about why he supports Budo for Peace. "My wife and I believe that the best form of philanthropy is toward education," he says. "And we firmly believe that education is not just about a teacher standing in front of kids in a classroom. Budo's type of education is active and interactive. It's going to break through to the underprivileged classes and bring different groups in our society together. This is a cause to contribute to, and I only wish it would become more popular around the country and worldwide, It needs to get substantially larger funding." And what are Budo for Peace team's chances at the international championships in Australia? For Hakim, competing is only part of Budo's agenda at the games. "The main reason [for going to the games] is to be a living example of our vision and to recruit affiliate countries," he says. "We're launching ourselves internationally. We are going to get other countries to join us as affiliate members sharing our vision of using martial arts for social change, martial arts for peace." At a time when missiles rain down on Israel from Gaza, Lebanon has launched a drone into Israeli airspace, and Iran regularly issues threats to annihilate the Jewish state, punching and kicking our way toward peace may indeed seem like a crazy idea, But watching Arab and Jewish children practicing their karate moves in a Beduin tent in Abu Kweidar, one is reminded of the famous saying by the sixth-century BCE Chinese philosopher Lao Tzu. "If there is to be peace in the world, there must be peace in the nations. If there is to be oeace in the natiions, there must be peace in the home. If there is to be peace in the home, there must be peace in the heart." (Just published – only in Hebrew for the time being). The Jewish and Zionist youth organizations in Morocco were established between the years 1944-1964 and thousands of young people aged 8 to 25 were members. This book presents theYouth Zionist movements’ amplitude, status, and uniqueness. It is a research that delves into the historic significance of youth educated in Zionist youth movements and their impact on the Moroccan Jewish community at a time when Morocco was under French sovereignty and later after its independence on March 2 1956. In July of 1956 the authorities banned all Zionist youth movements, which meant that these organizations had to adjust their modus operandi, forcing them to adopt different ways of contact with the State of Israel, the Jewish Agency and emissaries of Israeli-based organizations. The Zionist youth movements of Morocco were inspired by the general youth movements of Europe, by the world scout movement, and by the Zionist youth movements in Eastern Europe and Israel. However, Moroccan Jewish youth movements were certainly a fruition of the historical conditions prevailing within the Moroccan Jewish community and responded to the specific needs of Jewish youth during this historic period. Dr Arieh Azoulay was born and educated in the city of Fez, Morocco, and was an active member of the Jewish Scouts Movements and of Habonim. He later acted as a youth leader and then as head of the Habonim Zionist Pioneering Movement. He made Aliya in 1955 and joined Kibbutz Dorot and then moved to Kibbutz Bror Hayil. He was sent as an emissary on behalf of the Jewish Agency to Argentina and to France and headed the education emissaries in France. He was Mayor of the city of Ashdod from 1983-89; Chairman of the Board of Community Centers in Israel; on the Board of Executives of the Jewish Agency; served as Chairman of the Department of Immigration and Absorption of the Jewish Agency from 1997-2006 and was Mayor of the town of Ofakim in 2008. He has a BA in literature, an MA in the History of the Jewish people and PhD from the Hebrew University of Jerusalem. His dissertation was on the Jewish Youth movements in Morocco from 1944-1964. An emotional reunion of “youth leaders” of the Machon who are now grandparents! Machzor Lamed Vav (36) Meets Again! Customers filled the cozy cafe Natanya on Friday, August 23. There we were between the curious and the amazed, who were watching us as we came in: Into a side room, a group of boys and girls (average age: 64, 65) singing loudly: "HaMachon, HaMachon, HaMachon leMadrichim / Lilmod lo rotzim, rak latzet letiulim!" There we were: Those who had left behind parents and grandparents then, today parents and grandparents ourselves, raving about our children, our grandchildren and numbering them while we drooled. Amicably lying to each other: "You haven’t changed a bit!" - "you look exactly the same as you did then!!" One participant stated: "1965 was the best year of my life." We all agreed. Another said in an email: "We were the last generation of Romantics." And he was right. Aspiring to change the world – the Jewish aspiration if there is such a thing. We knew by heart the idealogy of Marx or Adam Smith. Jabotinsky's “Iron Wall” or the “Inverted Pyramid” of Borochov. They were the ideals which were for us the sum of truth. Discussed and rediscussed, as if our discussion was really the light of the world from which we could solve all the injustices. We were, in one word - young. Our idols weren’t guys and gals who walk naked on a tropical island, but the heroes of the Hagana, Etzel and Lehi. Our ideal was not “Kochav Nolad” or “Big Brother”, but to take a yard of desert or swamp and change it into a garden. To push the terrorists back a meter from our borders. To help with the absorption of yet another immigrant. We believed, not in the stock exchange or shares, but in hard work. The striker or Halutz was not a football player but a pioneer - an example to follow. While listening to each other recounting his/her life story, summarizing 47 years in 3 minutes, we saw photos of the kids we were, projected on the wall. I think we have not failed. We are the last generation of Romantics. And though our documents and our bones say otherwise (they lie!!). We are still young. 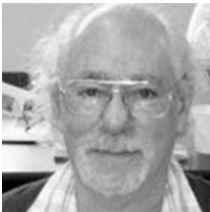 Old arguments are lost amongst the reason of time... "
The Tel Aviv botany professor whose new book examines the ways that plants do and don't resemble human beings.
" ...growing up there (Aliquippa, Pennsylvania) is probably the reason I made aliyah. Not because of the anti-Semitism, although there was some of that, but more because of the schizophrenia. I went to Young Judea meetings in Pittsburgh. Then, I would return to my working class life in Aliquippa. It made me realize that either had to assimilate or become religious - or make aliyah. 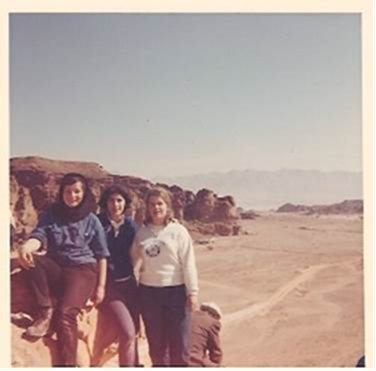 After high school I went to the Machon Lemadrichei Hul [leadership training program] in Israel, after which I had to spend time as a counselor back in the U.S., and so I went to Columbia University for two years. But I finished my BSc at the Hebrew University. Q. What drew you to botany? A. It was because of my time at Kibbutz Ketura, where I spent part of my time during the Machon year. When you drive a tractor you have a lot of time to think. I was in the alfafa fields, and I noticed that when you cut it down it grows back. That's because the part that grows is hidden underground. Wheat. though, when you cut it down. doesn't grow back. I thought, if only we can make wheat like alfafa, we could solve world hunger ... "
Get your friends' email addresses into the database.